The Australian government launched a platform on April 5 to provide a single point of access for Federal and State government location data. 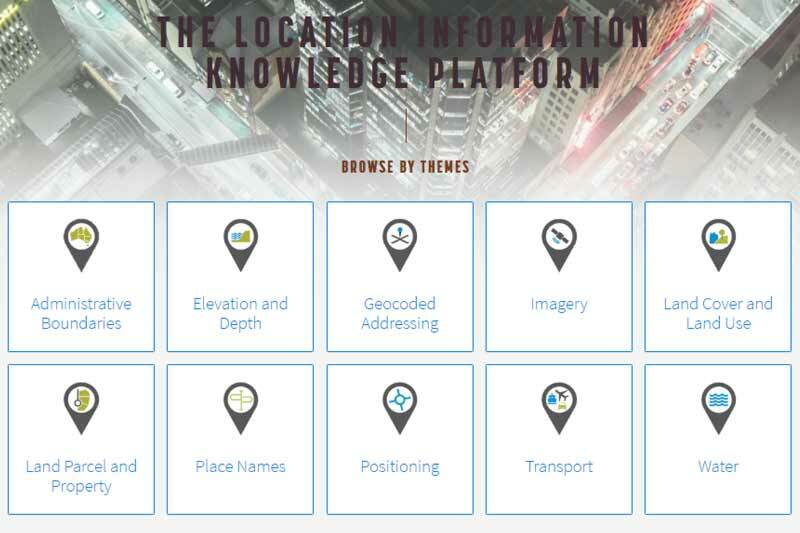 The Location Information Knowledge (LINK) platform makes fundamental spatial datasets more accessible and easier to discover. Previously users would have to conduct extensive searches across nine jurisdictions of Australia to find the data. Users can access reliable location information, learn about the governance and history of the data, and access a variety of location information. They can find not only national datasets but also the data provided from a jurisdictional level. It will boost evidence-based policy development and federated work planning. At the moment, 26 Commonwealth agencies and departments, 40 agencies from the 6 states and ACT and 4 commercial entities are involved. LINK is described as the latest milestone under the Foundation Spatial Data Framework (FSDF), a national program to improve the delivery of location data for the benefit of the broader economy. A demonstration of the beta version of LINK was provided in October 2016 at ANZLIC (the peak government body in Australia and New Zealand responsible for spatial information) and ICSM (Intergovernmental Committee on Surveying and Mapping) meetings. Key jurisdictional stakeholders had been granted access to the beta version, to enable them to analyse the spatial information supply chain from States and Territories through to national datasets and end users. The presentation noted the FSDF’s evolution from a conceptual framework represented in the form of static booklets in 2012 to a governed, online, dynamic, cloud-based analysis and discovery tool. LINK is a continually evolving knowledge base of the foundation datasets. It encapsulates who provides data, generally the state and territory governments, who aggregates to make the national datasets and who uses the FSDF datasets.The LINK combines traditional metadata and business content for all identified datasets. During last year, the Australian government combined the National Map and data.gov.au to provide a spatial foundation for a whole series of government information sets. LINK is expected to benefit a wide range of users. Insurance, emergency response, transport and agriculture sectors rely on precise location data. Insurance customers could underestimate their exposure to flood risks and not have appropriate insurance cover. IAG has used the Geo-coded National Address File (G-NAF) to release a national dataset containing a view of flood risk across Australia (covering 88% of all addresses nationally) in order to enable customers to assess their level of financial risk due to flooding. The risk is based on how severe the flooding is and how often the property is likely to be flooded The High, with classification into High, Medium and Low financial risk bands. Location information would provide the Australian Electoral Commission (AEC) with an evidence base underpinning the IT strategic plans objectives. It would help improve election logistics, election transparency and staff effectiveness and facilitate targeted education and public awareness programs. AEC is using 9 different datasets for this. In general, precise positioning technology, with the ability to identify a location anywhere in Australia with a real-time accuracy of three centimetres benefits a range of activities from growing crops to constructing roads and navigating transport networks. Geoscience Australia iis working for fostering the uptake and ongoing development of this technology through the National Positioning Infrastructure Capability. It involves the use of multiple datasets, such as National Coordinates, National Observations and Measurements, and National Positioning Infrastructure. In the transport sector, location data can help reduce congestion and improve accessibility and make roads safer. In agriculture, it would help improve yield, by enabling tractors to be accurately guided along designated wheel tracks, maximising the cropping area and allowing inputs such as water, fertiliser and herbicide to be applied directly over the crop with less wastage, thereby reducing costs. “Having access to consistent and accurate position and road network data enables cooperative intelligent transport systems such as vehicle charging, and freight, logistics and container management. This allows for faster and more efficient supply of goods to market which is critical for the future of our smart cities and regional networks,” commented Assistant Minister Taylor on the utility.